Hotel design matters. From the exterior architecture to the layout of the rooms, the appearance of your hotel sets the tone for a guest’s visit. Your hotel wallpaper must make folks say, “Wow!” Fortunately for you, we have products that can do just that. The quality of the guest experience is the most important thing to your business. Horribly outdated or ugly wallpaper doesn’t give off the right vibe (you’ve seen it before). You certainly don’t want your guests to have to see something like that. Instead, line your lobby, hallways, and interiors with gorgeous textured wallpapers. At Wallscape, we have a variety of hotel wallpaper designs so that you can amaze your guests. Our products are built to stand the test of time, too. One of the most common complaints in the hotel industry is about a place being (or feeling) dirty. Painted surfaces noticeably show dirt, grease, and other imperfections, and can be quite difficult to clean. Why risk making guests feel uncomfortable when you have ways to make your hotel walls shine? We’ve worked directly with housecleaning professionals to ensure our washable wallpaper can be scrubbed and cleaned with ease. This way, you can make certain your hotel walls sparkle each and every day. With our hotel wallpaper, you’ll get compliments—not complaints. We get it. Hotel maintenance and upkeep can eat up valuable resources. You could use that extra time and manpower to focus on serving your guests. That’s why we don’t just make good-looking hotel wallpaper, we make high-quality wallpaper that doesn’t require constant care. Our textured wallpapers are 54’’ wide and made to withstand wear and tear. Our commercial wall coverings are designed so that hotel personnel can quickly maintain or change areas that receive lots of traffic. Our hotel wallpaper also has fabric backing, allowing for easy removal and new replacement in any location. Your hotel has its own style. We have commercial wall coverings to match it. Our wide selection of colors and patterns guarantees you’ll find exactly what you need. At Wallscape, we also create hotel wallpaper for different functions. For corridors and other high traffic locations, we offer heavy 20-ounce wall coverings to give you the durability you need. For guest rooms, which receive less impact, we offer lighter and lower-priced 15-ounce wall coverings. No matter what textured wall coverings you get, you don’t have to concern yourself with quality and safety. All our products are Class A rated and have passed ASTM E-84/CCC408D requirements for architectural and interior design wall covering specifications. Your guests deserve the best—which is why we bring you the best. 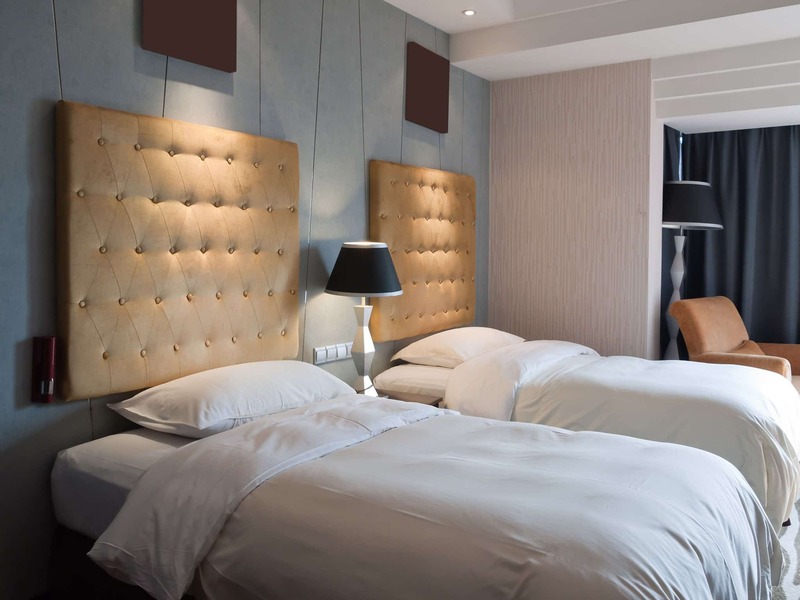 We’re your hotel’s resource for premium commercial wall coverings at the price you need. Get in contact with us. And we’ll get to work on getting wall coverings that suit your stylistic preferences, quality specifications, and financial budget.